Vang Vieng is a small town in Laos located in the Vientiane Province, known for the karst hills landscape surrounding it. The city is the perfect center for outdoor adventures and days filled with exploring, among other fun activities. You might have to leave some fears behind, but that’s the joy of it all – how else will you take part in the various outdoor activities Vang Vieng has to offer? Let’s get this adventure started! 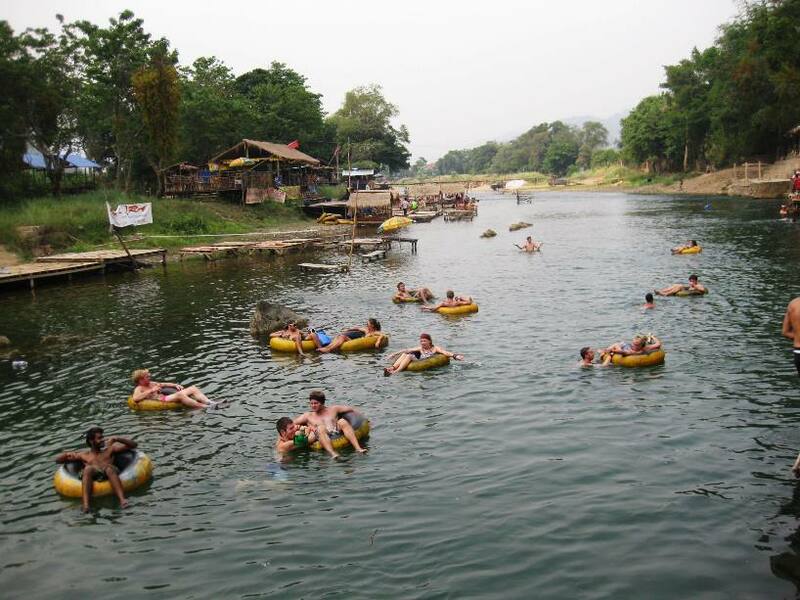 One of the main attractions of the city is inner tubing, where you can rent a tube from a shop along the Nam Song River, go to the start of the tubing route, jump into your tube and start floating. You can even stop at bars on your way down the river as you are experiencing the amazing scenery with friends and family. As you finish your float on the water, you will see several caves and pools of fresh spring water that you can stop at and explore. The caves in Vang Vieng are gorgeous pieces of nature, most of them easy to reach by motorbike, bicycle or foot. It is recommended to go to the caves with a local guide – that you can meet through GLYD – or join a tour group. The caves are a great place to visit as each one of them tells a different story, whether it be legend or historical fact. Another amazing opportunity you’ll have in Vang Vieng is trekking through the magnificent limestone mountains surrounding the city. The views are stunning and breathtaking, making for one memorable excursion. You will spend the day exploring the natural landscape while walking along the marked trails, and you might even see a few temples along the way! Here is one crazy outdoor activity offered in Vang Vieng you probably weren’t expecting – you can ride a hot air ballon and float above the city! The trip will give you a panoramic view of the city and surrounding area. Have no fear; the hot air ballon is operated strictly under international laws and standards, and your pilot will be an internationally trained hot air ballon conductor with years of experience. 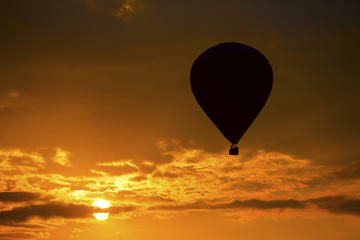 With this in mind, you can hop on a hot air balloon and enjoy every second of it. 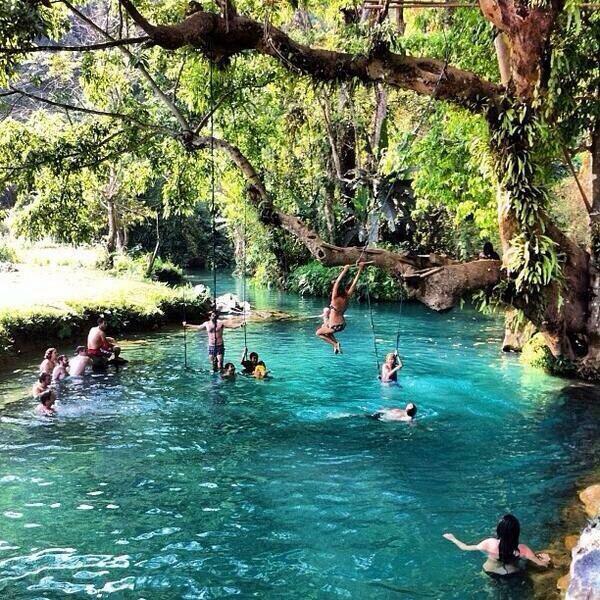 Vang Vieng is home to the breathtaking Tham Phu Cave and Lagoon. This lagoon is a stunning turquoise blue that is clear and filled with numerous fish, rope swings and ladders. It is incredibly fun to go and jump off rope swings into the refreshing lagoon. The Tham Phu Cave and Lagoon is one of the best kept secrets of Vang Vieng, so be sure to check it out! 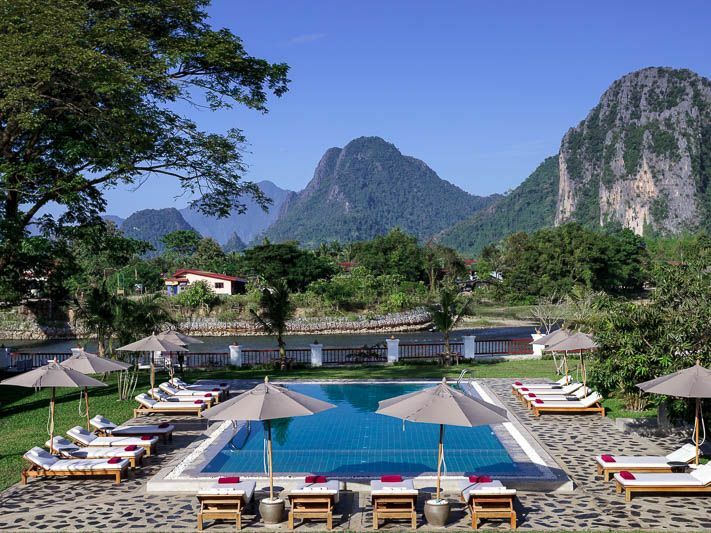 If you want to take a break from the mountains, come back down to the valley and relax at one of the many resorts and hotels in Vang Vieng. The Silver Naga Hotel and Riverside Boutique Resort are two of the top resorts in the area, both of which have great amenities to enjoy, including pools! Nothing beats sun bathing along a pool and appreciating the spectacular view that comes with it. This destination is one for your bucket list!